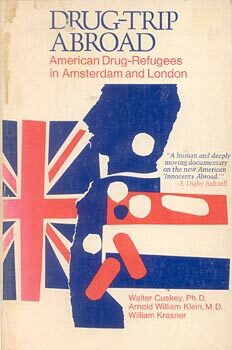 "A significant and absorbing account by a group of American medical authorities on the American drug scene as it has been transferred to London's drug clinics and Amsterdam's streets." "A perceptive and insightful report into the real and mythical dimensions of the drug scene. Recommended highly for those who want to understand the 'inside' dynamics and happenings of the drug user." "What a treat. A scholarly book written with a light touch and in a highly literate style. It is a must for anyone interested in the drug scene in the United States or Europe." -- Father John McCall, S.J. "This book furnished in an outstanding fashion what is essential for all epidemiologic analyses: knowledge of the disease itself and the setting of the natural history. The uninhibited case histories of addicts seen outside confinement or medical crises give insight in the broad variety of different manifestations of drug addiction, and they are indispensable complements to what is known about addicts from clinics and court rooms." ". . .written for the informed and concerned, but not necessarily expert, lay-man, treats a major contemporary social phenomenon with knowledgeable sensitivity . . . represents a significant contribution to the task ahead." "Let's face it. I'm a drug addict 19 years. The odds are I'll never stop. Right? So what am I gonna do? Live here or live in the United States? I'm gonna stay here." Dr. Walter Cuskey, Dr. Arnold William Klein, and William Krasner are all at the University of Pennsylvania.